Stuff You Missed in History Class is a popular podcast under the How Stuff Works umbrella that focuses on historical events. It’s been on the air for several years and has a large following on iTunes and social media. 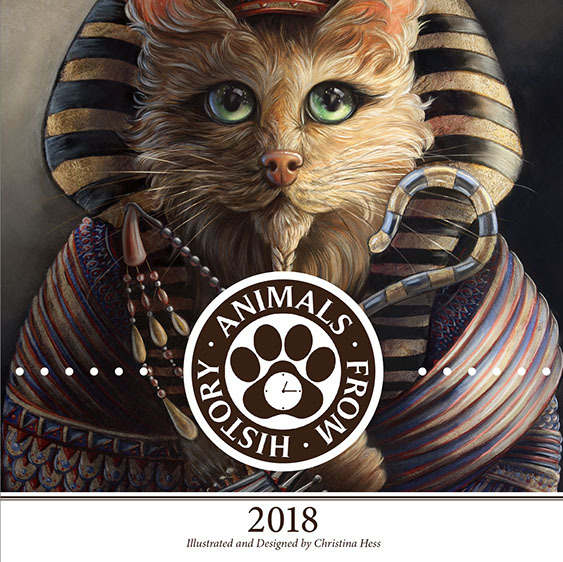 In December, PCA&D Illustration Chair, Christina Hess, sent two small calendars from her "Animals From History" series to the podcast hosts as a thank you for giving her something to listen to while working on her illustrations. Christina's gift was shared with the listeners on the January 10th podcast. https://www.missedinhistory.com/podcasts/kathryn-lougheed-interview.htm. Fast forward to the 27:00 mark on the audio box to hear the hosts of the podcast laugh and rave about the historical animals in Christina's calendar. Christina's Animals from History can be viewed here.